Did you know that an estimated 80% of adults in America have periodontal (gum) disease? In fact, most people will experience the condition at some point in their lives. Gum disease is the most common source of inflammation in the body. Individuals often may not even know they have it until it has progressed to advanced stages. Periodontal disease and Gingivitis are caused by infectious bacteria present in the mouth and are contagious. Gum disease can cause bleeding and irritated gums, chronic bad breath, loose teeth, and even tooth loss. But much more importantly, it has also been connected with serious, life-threatening health conditions such as stroke, diabetes, and heart attack. In some cases, gum disease can increase the risk of certain health conditions by multiples of three or more. This makes it imperative to diagnose signs of gum disease as quickly as possible and develop a treatment plan to eliminate pockets of bacteria in the gums and reduce the chances that gum disease will lead to overall health concerns. Many people think bleeding gums are OK. Bleeding is a sign of active infection. Any time there is ANY bleeding, over 500 different strains of oral bacteria get flushed into the bloodstream and are carried to the rest of the body. This sets up an inflammatory reaction and is how oral disease can lead to serious, life-threatening systemic disease. Here at Fulbright Cosmetic and Reconstructive Dentistry, our experienced dentist, Dr. Michael Fulbright, applies a whole body, oral systemic health approach to periodontal care. 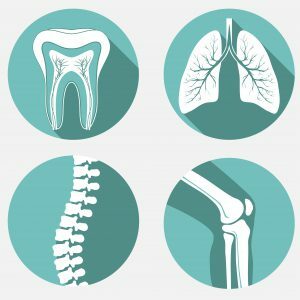 This “whole health” approach involves a comprehensive oral exam, looking not only at teeth and gums, but also sleep habits, airway obstruction, mechanics of teeth alignment, and jaw joint health. The patient’s medical history and family medical history is reviewed, looking for a correlation to oral health. Thorough patient education on gum health and techniques to improve it, a customized treatment plan to address the condition, and follow-up care to maintain the health of the mouth and body is discussed. We know that gum disease is the most common infection and source of inflammation. It is as common as the common cold, but with serious health consequences that are now making big news. It is our goal to bring this information to our patients to help empower them to take an active role in their health and vitality. To work with them to maximize their health and prevent or reverse disease. You can learn more about our oral systemic health approach here. Our non-surgical periodontal treatment page offers information about some of the advanced methods our practice utilizes. If you have questions, or if you would like to schedule an oral exam, please contact us today. Together, we can take big steps toward fighting disease and making your overall health a reflection of your beautiful smile!